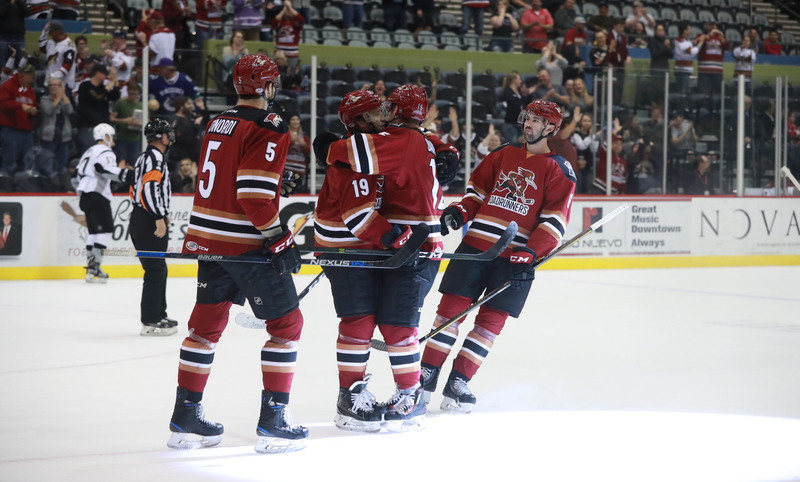 The Roadrunners earned their second consecutive win Tuesday night in the club’s 5-2 victory over the San Antonio Rampage at Tucson Arena. For the team, it is their first time winning back-to-back games since January 18, when they capped off their franchise-long five-game win streak. Following a difficult start to Tuesday night’s affair that saw the Rampage score a pair of goals in the opening 1:37 minutes of play, the Roadrunners responded with five unanswered goals of their own. The Roadrunners started their scoring rally just over six minutes into the first when Ryan MacInnis cut San Antonio’s lead to one, beating Spencer Martin through the five-hole on a breakaway to score his eighth of the season. Just 39 seconds later, Jeremy Morin tied the score 2-2 when he chipped home a loose puck amidst a scrum in front of the Rampage net. 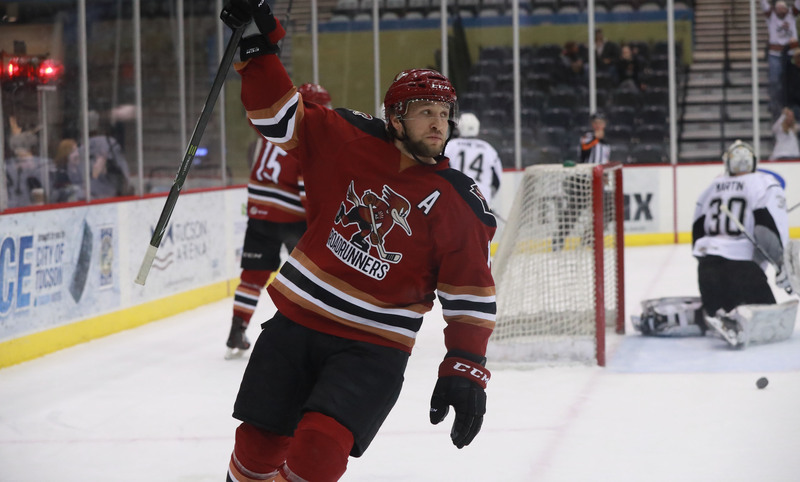 With under seven minutes to play in the first, Chris Mueller gave the Roadrunners a 3-2 lead when he received a Laurent Dauphin pass while streaking in alone on San Antonio’s net, finishing the sequence to score his 15th goal of the campaign. For Mueller, his goal and assist in the first period gave him 57 points on the season, which ties his totals from the 2015-16 season with San Diego, and 2014-14 with Texas. He is now just three points shy of his career-high mark of 60, which he set in 2011-12 with Milwaukee. Neither team scored in the second period. With six minutes left to play in regulation, Conor Garland beat Spencer Martin with a shot to the top shelf after waiting out pressure from San Antonio’s defense, registering his third goal of the season. Laurent Dauphin was awarded an empty-net goal to give the Roadrunners a 5-2 lead with 2:02 to play after being pulled down by a San Antonio defender while having a clear path to the net. Marek Langhamer made 27 saves in the win. The Roadrunners finished their season series against the Rampage with a 2-4-0-0 record. The team will close out its five-game home stand Friday and Saturday night when they host the San Diego Gulls at Tucson Arena, where both games are scheduled to start just after 7:05 PM.